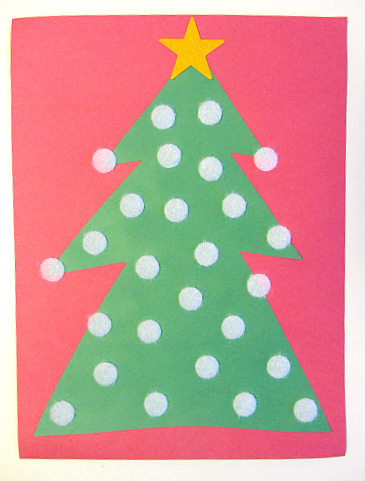 I thought I was done with Christmas crafts (I have a few more ready to post). 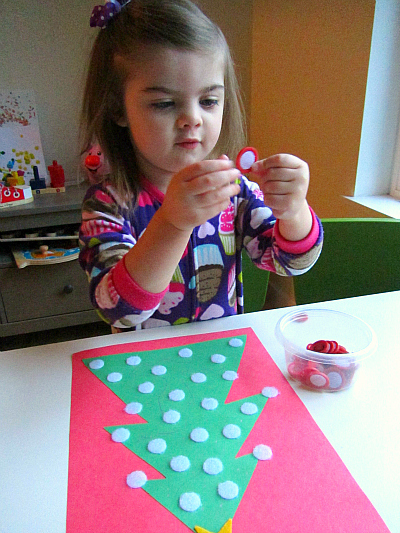 But when I found these little checkers pieces, I knew just what I wanted to do with them. 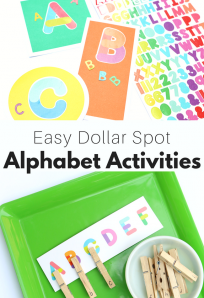 It’s a fun, easy Alphabet For Starters activity but can be adapted for older kids as well. 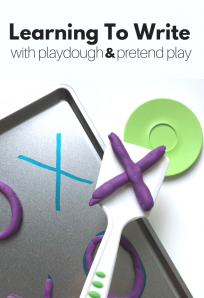 Alphabet for Starters is our series of fun and playful ideas for teaching children the alphabet. 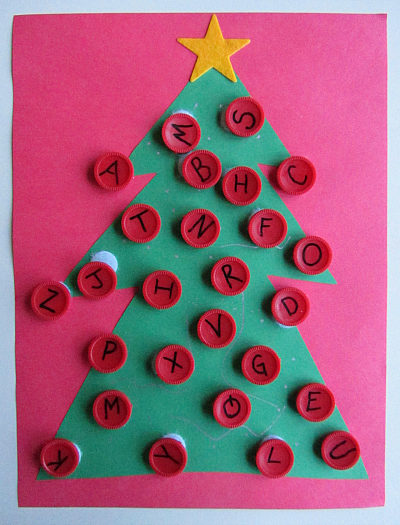 See the end of the post for ideas of how to play with this Christmas alphabet activity in a more structured way. Gather your materials. 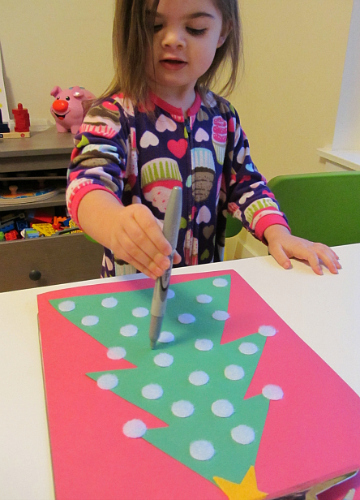 You will need two sheets of construction paper (any color and green), glue, velcro dots, star sticker, checkers pieces, marker, scissors and possibly contact paper * see below for my explanation of why. 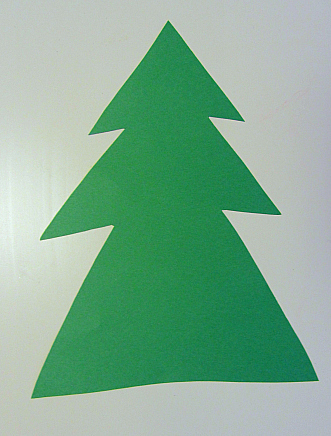 Start by cutting your green paper into a Christmas tree. 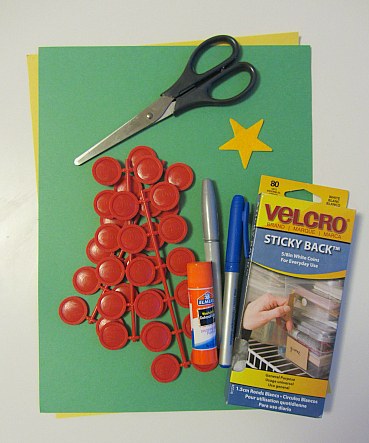 Glue to the other paper, add the star and add velcro dots. Laminate or cover with contact paper before adding the dots so that the velcro doesn’t simply rip the paper when it’s pulled, if necessary. I made sure my kids only gently placed the letters and prayed it didn’t rip. I was lucky. Write the alphabet on the checkers pieces. Add the other half of the velcro dots on the checkers pieces. Let all the velcro set for at least 30 minutes. 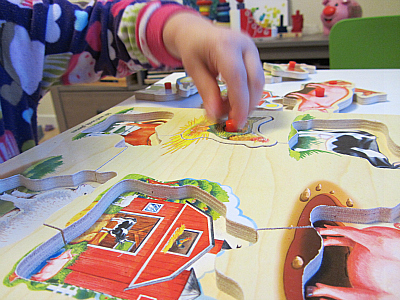 We practiced cutting and did puzzles while we waited. Add some garland and lights ( aka some silver sharpie). 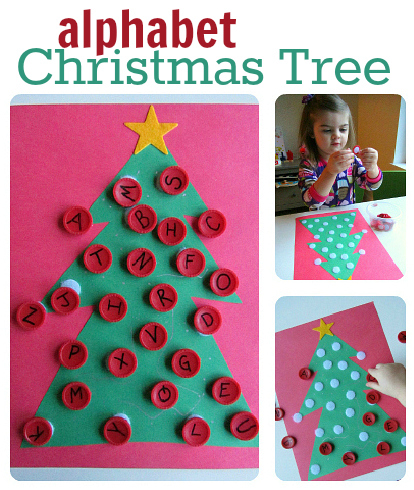 Add the letters to the Christmas Alphabet Activity! 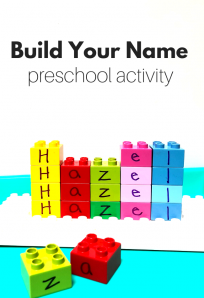 Most children will narrate as they go especially if they are used to you labeling letters for them. My daughter searched for letters in her own name and those of her family. 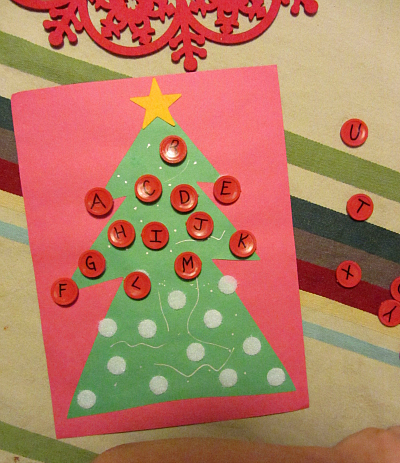 26 letters are a lot for a two-year-old, so I asked her to choose some to give to mommy to add. Of course, she grabbed some, labeling each before handing them to me. Then finished it herself. 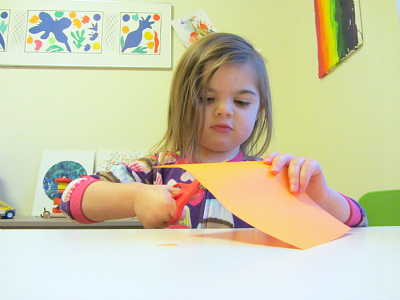 Later that afternoon, we showed her brother what we did while he was at school. 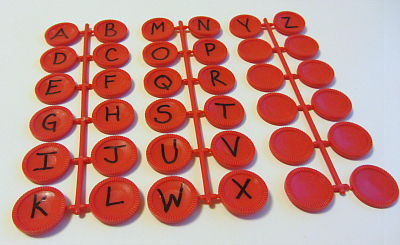 He took each letter off and added them in alphabetical order. He can also spell words with it, and my favorite is to fill in the blanks. So absolutely lovely! :)) Thank you for another useful tip. 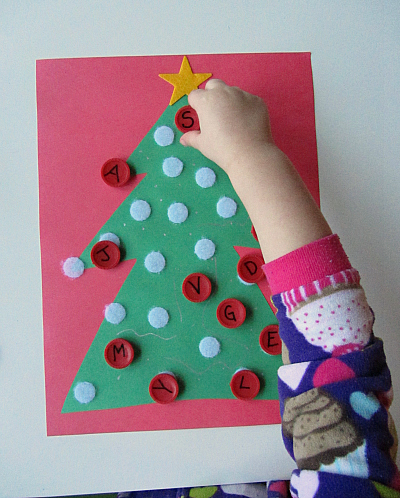 What a great festive way to learn. Very cute. Thanks for sharing. Do you get your velcro for cheap anywhere? It seems like even with a 50 percent off coupon at JoAnns there are quite a bit.